An acclaimed two-part documentary, one of Channel 4’s very first commissions, which concerned ‘enemy aliens’ who were interned in Britain during World War II. How did the half million German POWs and civilian internees fare in the little known prison camps of Britain? This programme explains how thousands of Italian and German citizens – many of them Jewish refugees – were bundled into British camps. 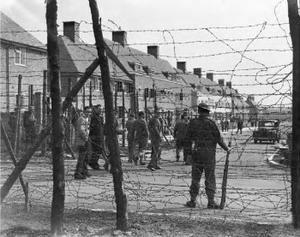 By the end of World War II there were half a million German POWs in 1500 camps throughout Britain. Many of them fanatical Nazis, they presented a serious security threat. How was this explosive situation handled? British Commandants and former SS men alike are featured.